When you make the decision to follow through with your dream to become a voice actor, you are essentially embracing the life of a business owner. For the vast majority of voiceover artists, it is necessary to work on a contract basis, which means that you will operate as a self-employed talent. That also means that you will likely spend a lot of time and energy advertising your brand. One great way to spread brand awareness is to create a business logo that can be used to create a consistent appearance across all platforms – website, social media, letterhead, email, resume, demo cover, etc. 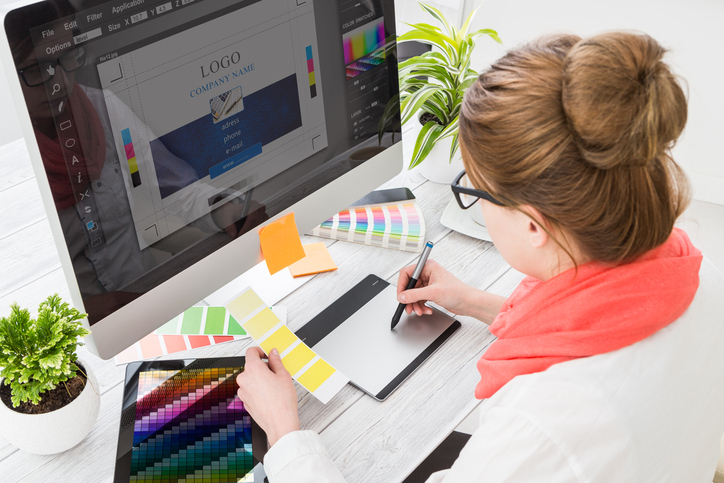 There are a few things to keep in mind, though, as you set out to create that logo. Keep It Simple This is important for many reasons. Take a moment to think of some of the most successful logos – Nike, Apple, Pepsi, Chevrolet, etc. All are very simple and could almost be drawn from memory. That is what you want for your own brand. You want others to be able to easily call to mind exactly what your logo looks like. Simplicity is also important for the purpose of being able to manage consistency. Large enough for a banner or small enough for an Instagram profile pic, your logo must be able to be clean, clear, and easily detected at any size. Involve the Theme If possible, consider hinting at the type of work that you do. That doesn’t have to be as involved as a microphone in your logo, but there are ways to give a taste of the purpose of your business. Think about IBM and how their logo gives a hint of their legacy in the computer industry. When you look close enough, you see it, but they didn’t include computer screen in the logo. Attempt to Make it Timeless What is trendy today will most definitely not be trendy five years from now. Do your best to ignore that compulsion to stick with what is currently popular and aim to create something simple that will be relevant on your business’ 20th anniversary. Consider Hiring a Logo Designer Hiring a good designer can be fruitful since they are used to finding the subtle nuances of specific businesses and bringing them forward into a impactful design. For voice over talent we want to show personality, brand, signature sound and experience. A good designer will know what to do when you give him/her as much information as possible about your talent and business. Do You Stand a Chance Against a Big Name?